Parents and relatives of a Sri Lanka priest and a layman who disappeared five years ago amid fighting between security forces and the Tamil Tigers have urged the government to seek justice for the clergyman. 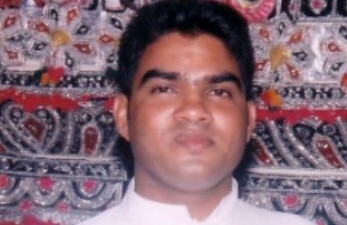 The call came during a Mass last weekend for Father Thiruchchelvan Nihal Jim Brown and Wenceslaus Vimalathas, both of whom have been missing since August 20, 2006, ucanews.com reports. The two men were last seen on a motorbike at a checkpoint in Allaipiddy, an area that at the time was tightly controlled by security forces. Nearly three decades of civil war ended in 2009 when government forces defeated the Tamil Tigers. An estimated 100,000 lives were lost during the conflict, including six priests and several church workers. Ruki Fernando, a representative of the Law and Society Trust and a CCI member, remembered Fr. Jim as a young priest who selflessly devoted himself to the needs of his parishioners. The priest had offered refuge to local residents during a night of heavy shelling on August 12, 2006. More than 20 people were killed that night and many more sustained injuries though Fr. Jim escaped unharmed. “Will we ever know what happened to him and thousands of others who have disappeared? And will those responsible ever be identified and brought to justice?” he asked?